Mumbai, Mar 23 : Forming a towering human pyramid around a single pole, these young men display a balance and athletic prowess that would put most professional sportsmen to shame. 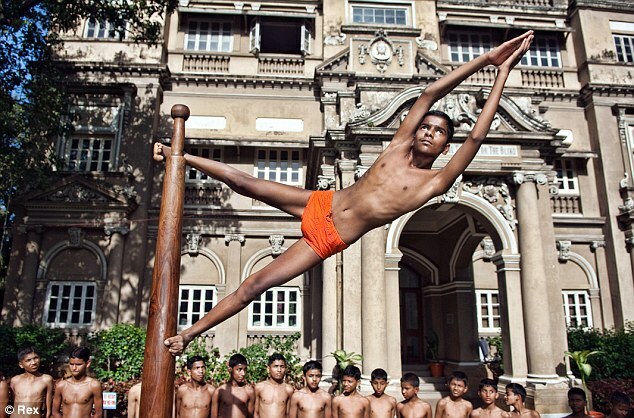 Yet these school pupils effortlessly contort their bodies into an eye-watering variety of shapes as they practice the traditional Indian sport of Mallakhamb. What makes their display of gymnastics even more impressive is the fact that each and every one of them is blind. The young men are students at the Victoria Memorial School For The Blind in Mumbai. The sport of Mallakhamb originated in the 17th century as a form of exercise for wrestlers in Maharastra, India. 'Malla' means wrestler and 'khamb' means pole and the practice involves the use of a 2.6metre high teak or sheesham wood pole. 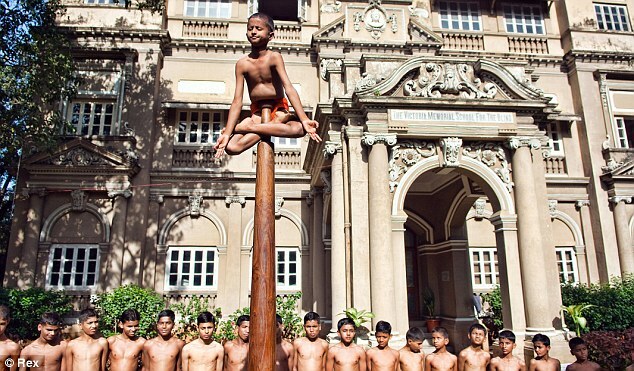 Practitioners of Mallakhamb use a pole - which has a circumference of 55cm at the base, gradually tapering to 35cm at the top - to perform different gymnastic poses and feats. In the last 20 years the sport has seen something of a renaissance in India, though it is yet to be recognised by the government as a national sport. Mallakhamb can be used as a form of exercise or as strength training for police or other jobs requiring a high level of fitness.